You’ll find livable cruising on the MJM 50z. 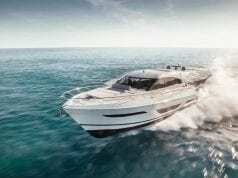 MJM launches the MJM 50z, its largest model yet with innovative spaces for more time aboard. For five full years, Bob Johnstone, the legendary founder of MJM Yachts, didn’t want to build his new 50-footer. In fact, he didn’t want to build anything larger than the 40-footer he introduced in 2009. “I thought it was the perfect all-around boat,” he says. “Small enough to be easily managed solo, comfortable enough to live on for a month or more. Who needs a bigger boat?” Other people liked the 40-footer as well. In fact, Johnstone has sold 57 of them at more than $1 million each. But then Johnstone and his wife, Mary (the Mary of Mary Johnstone’s Motorboat, or MJM), did even more cruising on their own 40 and thought that it would be nice to have more—and larger—private spaces on board for relaxing, reading and working (Johnstone uses the boat as his office). And the MJM 50z, which he calls “a more livable cruising boat,” was born. The new MJM 50—officially a 50z for designer Doug Zurn—is more than just a larger 40z. The use of space both inside and out is innovative to say the least. The 50z also happens to be the lightest, fastest, most fuel-efficient, seaworthy (with an ISO Category A offshore certificate) and seakindly (with a standard Seakeeper gyro-stabilizer) in its size category. It’s also easy to maneuver, with Volvo’s IPS pod drives and joystick control, and its low profile means you won’t have to wait for a ton of bridges if your cruising plans call for the ICW. All this didn’t happen by accident. 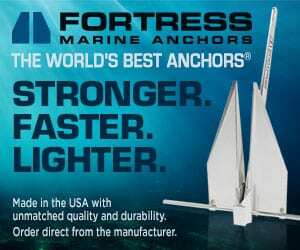 Johnstone has believed in creating innovative, lightweight, high-performing hulls ever since he co-founded J/Boats with his brother, Rod, in 1977. 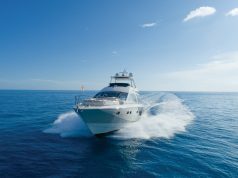 The Johnstones have sold more than 11,000 J/Boats since then. When he wanted to make what he called the ultimate powerboat in 2002, Johnstone formed MJM and teamed up with Zurn, definitely a kindred spirit. Zurn had already designed the 38-foot Shelter Island Runabout, a long, low, narrow, head-turning performer for Billy Joel that caught Johnstone’s fancy. To build his new boat, Johnstone turned to Mark Lindsay of Boston BoatWorks, who had more than 30 years experience building high-tech offshore racing sailboats. Boston BoatWorks uses a proprietary epoxy composite pre-preg, oven-cured, vacuum-molding system to create light, strong and stiff boats. Within a year, MJM launched its first boat, the 34z. The line also now includes the 29z, 36z, 40z, and the new 50z. I’ve known Zurn since his Billy Joel days, and he walked me through the MJM 50z in Miami. 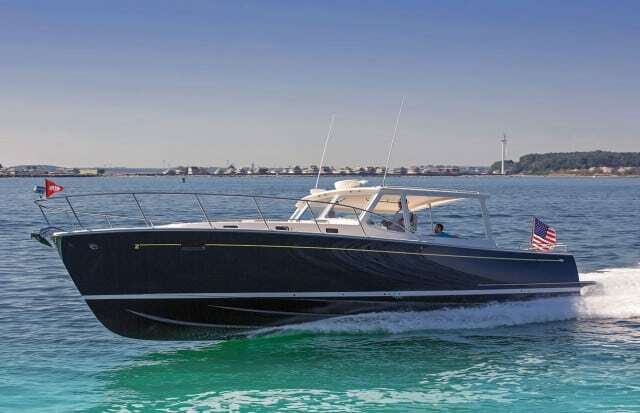 Zurn designed the standard 50z with two 435-hp Volvo D6 diesels and IPS 600 pod drives that produce a top speed of 33.8 knots. But Johnstone wanted to offer a faster boat, so this one has a third engine and pod. The results are spectacular. Top speed with triples jumped to 40.3 knots. The surprise was the 50z with three engines burns less fuel than the same boat with two. Zurn says the efficiency comes from the boat’s light weight and narrow beam. The slender, deep-V hull—the transom has a 19-degree deadrise—slices through the waves while the chine flats direct water outward. It’s a long, low boat with exceptionally clean, timeless lines, a touch of Carolina flair forward, and a gentle rise and fall of the sheer. Below, the interior is light and, despite the narrow beam, open and spacious. The master stateroom forward, with classic Herreshoff panels on the walls, has standing headroom even for me at nearly 6′ 2″. The island berth is a full 7 feet across at the head and 6′ 6″ long, with four storage cabinets underneath—there’s also storage under the sole to hold full-size luggage. But the real appeal is a combination desk and dressing table to port, with an inviting big, plush reading chair. Instead of just a sleeping area, the master also can serve as a private working or relaxing space during the day. The master head to port is large and bright with a shower (complete with seat) behind a glass door. A matching head is across on the starboard side; it serves as a day head or as an ensuite if the boat is configured for a second stateroom. Johnstone calls the galley and salon area in the middle of the boat a “great cabin” to accentuate its spaciousness. The galley to port is well equipped for weeks or even months of living on board, with tons of storage, including four large lockers under the teak-and-holly sole—it’s covered with clear gloss Awlgrip for easy maintenance. On starboard, an L-shaped settee faces a table that can be lowered to create a double berth at night. The innovation here is the ability to convert this area into an enclosed, private second cabin. Three wooden side panels weighing 12 pounds each can be stored upright in a pocket in the forward bulkhead. 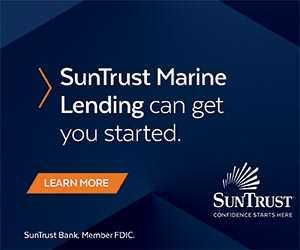 When deployed, the panels lock together and fit into anchors in the sole and a recessed channel overhead creating a totally enclosed second stateroom. Johnstone says this assembly takes about 10 minutes. Moving aft, two unusually wide teak stairs lead up to the bridge deck and cockpit, which are all on the same level. The bridge deck is protected by a fixed overhead and Strataglass side panels; more panels can be dropped aft to enclose the bridge deck fully. Sight lines in all directions are excellent. The captain has a doublewide Stidd seat; the navigator has another Stidd seat to port. Dual 15-inch Raymarine plotter screens are centered at the helm; a Volvo EVC display is on the right. What’s unusual here is that the bridge deck also serves as an extra social and sleeping area. A U-shaped settee aft of the captain’s seat faces a telescoping table; this can convert to a large double berth. On the port side, a straight settee converts to a single. A large hatch on the bridge deck opens to four teak steps down to the standard Seakeeper 9 gyro-stabilizer that’s mounted on a special structural grid. An optional Bimini can cover the boat’s exterior social area, the cockpit. 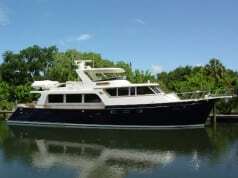 A wet bar and fridge are on the port side, while a two-person, aft-facing settee is to starboard. You climb on and off the boat here via doors on either side, plus a transom door in the stern quarter leads to the gently curved swim platform. A large bench seat all the way aft can hold five and faces a beautiful, teak table mounted on two fixed stainless steel pedestals. Two large hatches open in the cockpit for easy access to the engines and the standard Northern Lights 9kW genset. Johnstone says the next version of the 50z, an express model, will have more of a glass-enclosed bridge deck. After that? For now, he won’t say. But if there is another MJM beyond the 50z, you can bet it will be fast, fuel-efficient and have lots of livable space for easy cruising.